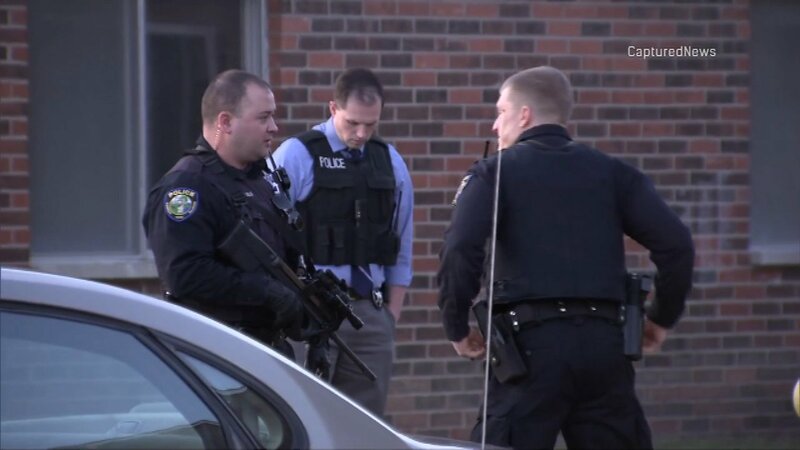 OSWEGO TOWNSHIP, Ill. (WLS) -- Police are investigating a violent stabbing in Oswego Township Monday. Kendall County Sheriff's deputies said one of the neighbors had a knife and was swinging it at the victim. The incident took place in the 100-block of Harbor Drive. The person only stopped when a witness threatened to use his AR-15-style rifle, the sheriff's office said. The armed witness says he's glad the situation ended when it did. "I think looking down the barrel of that AR-15, he really stopped and I think he definitely made the right choice at that point," said the witness Dave Thomas. The Kendall County Sheriff is still investigating what happened. They said the person with the knife tried to run away but was eventually arrested. The victim was taken to the hospital to be treated.